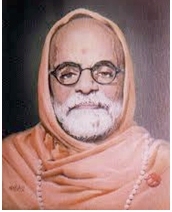 Swami Bharati Krishna Tirthaji popularly known as Jagadguru (1884-1960) rediscovered Vedic Mathematics from the Vedas between 1911 and 1918. His students claim that he wrote sixteen volumes expounding the system but they were all lost and there are various reasons given for this. In 1958, he wrote an introductory volume that was published in 1965. All subsequent study of Vedic Mathematics is based on this book. Swamiji was exceptionally brilliant since childhood. At the age of sixteen, he was awarded the title ‘Saraswati’ for his proficiency in Sanskrit. When he was twenty, he obtained an M.A. from American College of Sciences, New York (Bombay Centre) simultaneously in seven different subjects securing the highest grades. Vedic Mathematics is one of Swamiji’s greatest contributions to the world. After Swami ji’s death there was little interest in Vedic Mathematics for a couple of years. A copy of his book traveled to London in the year 1970 and was studied thoroughly by three mathematicians Kenneth Williams, Andrew Nicholas and Jeremy Pickles. They gave talks and taught courses in different parts of England and also put together a course by the name ‘Cosmic Calculator’ in year 1998. This course covers the school curriculum of England and Wales for a specific age group. The idea was to demonstrate that Vedic Mathematics covers all aspects of mathematics at least for the age group that was covered. A lot has changed since then. There is a lot of interest in Vedic Mathematics around the world especially in India, Australia and USA. Research is going on in new areas of Mathematics applying the Vedic methods. In India, Swami ji’s book was previously included in the school syllabus of Madhya Pradesh and Uttar Pradesh. The Hindu nationalists have also made several attempts to have Tirthaji’s “Vedic mathematics” system included in the Indian school curriculum via the NCERT books.In Australia, a special system is being researched and taught under the name ‘Pebble Maths’, which is nothing but Vedic Mathematics for the youngest children in lowest grades. Vera Stevens, the founder has had huge successes in teaching mathematics to young children using this system. Vedic Mathematics is based on sixteen sutras and thirteen upasutras; which Swamiji says, he ‘re-discovered’ from the Vedas, rather, from the appendix of Atharvaveda. One may not find these sutras as it is in the Vedic literature, but Swamiji got the essence of the subject while he was studying Vedic literature. He was a humble saint and did not want to claim the ownership of this new system, so he named the subject ‘Vedic Mathematics’. 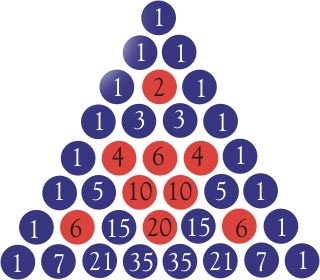 Its characterization as “Vedic” mathematics has been criticized by academicsthat have also opposed its inclusion in the Indian school curriculum.The techniques used in Vedic Mathematics are unconventional and different from the normal mathematics that was used by earlier Indian mathematicians like Aryabhata, Bhaskara, Mahavera, and so on. One need not have a high-level knowledge of Sanskrit to understand the sutras because the techniques that Swami ji created from the sutras are so lucid that anyone can learn them with ease. · Vedic Mathematics techniques are simpler, quicker and easy to remember. They enable students to do calculations much faster than the conventional methods. · Vedic Mathematics offers a new and entirely different approach to the study of Mathematics based on pattern recognition. · In Vedic Mathematics, there are many ways to arrive at a solution for a problem. There is always a general method applicable to all cases and several special methods. The element of choice and flexibility at each stage keeps the mind alert facilitating the development of clarity of thought and intuition. · Vedic Mathematics is a very systematic and coherent system. The whole system is interrelated and unified in the sense that the four basic and many other operations can be reversed. The general multiplication method, for example, can be easily reversed to allow one-line divisions and the simple squaring method can be reversed to give one-line square roots. · The simplicity of Vedic Mathematics encourages most calculations to be carried out without the use of paper and pen. This mental approach sharpens the mind, improves memory and concentration and also encourages innovation. · Vedic Mathematics appeals to everyone. The artistic types are put off by Mathematics normally because of its rigid approach but because VM is so flexible and creative it appeals to all age groups and types of people. Register for the next workshop.